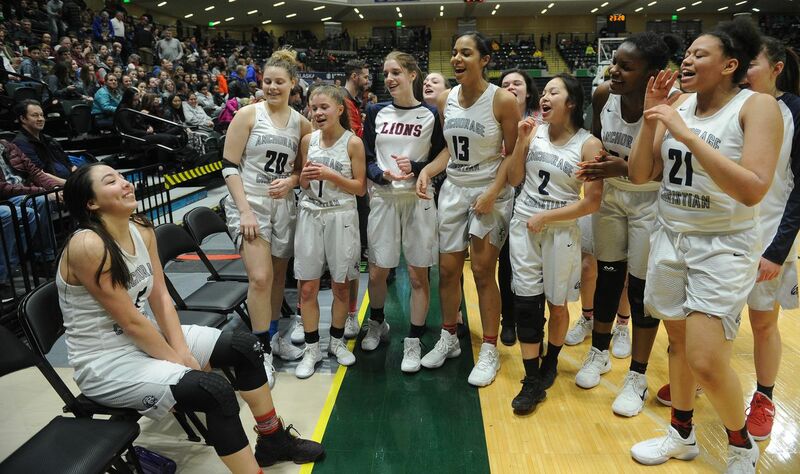 The Anchorage Christian girls basketball team will continue its quest for a third straight state championship this week at the Class 3A state tournament at the Alaska Airlines Center. The undefeated Lions are nearing the end of a season so dominant that three of their opponents forfeited games against them rather than face the prospect of a lopsided loss. The forfeits left Redington, Houston and Homer high schools $500 poorer for not showing up to play scheduled conference games. They left the Lions disappointed. And they left the Alaska School Activities Association, which levied the fines against the schools, with a dilemma: how to deal with private schools like ACS whose enrollments are not restricted by geographical boundaries. Lytle said he supported coach Tim Maki’s decision not to travel to Anchorage for a Feb. 20 Southcentral Conference game at ACS. A month earlier, ACS beat Redington 105-18 in a game at Redington, and Lytle said Redington started talking to ACS right away about the prospect of forfeiting the next game. Jason Hofacker, the secondary school principal at Anchorage Christian, said the win over Redington was the most lopsided of ACS’s season. Lytle said Redington believes ACS should have eased up in the second half of the game. Hokafer said ACS administrators don’t tell coaches how to coach their games, and even if they did, this year’s team is a hard one to rein in. “They’re a good team and aggressive defensively, so even if you tell them to go half-court, they’re still aggressive,” he said. Hofacker believes the forfeits are part of a bigger issue ASAA needs to address — how to deal with nonboundary schools in a state that doesn’t have enough private schools to group them in a separate classification or even a separate conference. Billy Strickland, ASAA’s executive director, doesn’t dispute there is disparity among boundary schools and nonboundary schools. ASAA is looking at different classification models, he said. Currently, schools are classified according to their enrollments. Some states, Strickland said, make up for a private school’s advantages by counting each student at a private school as 1.5 students, which can be enough to move a school to a higher enrollment-based classification. “We don’t have a great placement (system) for some of our schools,” Strickland said, “and I would throw ACS, Grace Christian and Monroe in there. The ACS girls are probably the best team in the state this year, just like Monroe with Scooter Bynum was the best boys team in the state. Public schools typically fill classrooms and sports teams with students who reside in that school’s geographical boundaries. There are ways around those boundaries, especially in bigger districts with multiple schools. Kids can transfer to another school for academic reasons, and those who are home-schooled or attend an alternative-education program like Mat-Su Career Tech in the Valley or Steller Secondary School in Anchorage have their pick of high school teams. People accuse ACS of recruiting, Hofacker said, but he counters that private schools have to pursue students. ACS, founded in 1972 by Anchorage Baptist Temple pastor Jerry Prevo, provides needs-based scholarships that help with the $7,665 annual tuition, Hofacker said. He said a third party administers the scholarship program and it examines a family’s financial records to determine the level of aid. “Are there local people in our church or any other churches that sponsor other kids? Yes, but that’s outside my control,” Hofacker said. He thinks the Southcentral Conference is the appropriate conference for ACS, which has 105 students in grades 9-12. It would be difficult to compete year after year against Class 4A schools with several hundred students, he said. Realignment and parity will no doubt be part of the conversation when the ASAA board meets this spring in Kodiak. Meanwhile, the Class 3A state tournament begins Thursday with three private schools in the boys bracket — ACS, Grace Christian and Monroe — and one in the girls bracket. The ACS girls open play Thursday at 11 a.m. with a game against Kotzebue. This story has been edited to correct the spelling of Jason Hofacker’s name.